← Freedom to Offend: When is Free Speech Hate Speech? First up, our favorite religion read of the week was Ryan T. Wood‘s “The Skeptic’s Smart-Person Problem” for Marginalia. In addition to expanding the canon of resources that inform such discussions, we might adopt a more interdisciplinary approach to human reason. Here, anthropology’s treatment of “reasonableness” as a cultural product might help to expose the social and historical relativity of reason itself, as well as to appreciate how it operates in the religious psyche. This approach proceeds from a couple of empirical observations with important implications. One begins by observing that, even among the educated, deliberative rationality matters less than standards of reasonableness. As Albert Camus caustically observed, no one is willing to die for the ontological argument. Few individuals take up religion because an apologist demonstrates the existence of God, and few theists abandon their beliefs because a skeptic falsifies an apologist’s demonstration. What matters more is what unites them: both express their convictions in the vernacular of reasonableness. We’re going to have to talk about Josh Duggar. The Duggars are no ordinary spokespeople for the religious right; they are super-spokespeople. For years, they have been held up as exemplars of biblical living, of devotion to Christ, and of, especially, homespun honest living and sexual purity. It’s long been obvious to many that this is a product of marketing and packaging, not reality. But now no one can pretend anymore. I’m hesitant to ascribe magical abuse-preventing power to having the right worldview (or avoiding the wrong one). To do so risks obscuring the fact that sexual abuse is far too common across all subcultures and belief systems. It’s appealing to think that all we need to do is get the right worldview and cultural norms sorted out, and then sexual abuse will cease. Unfortunately, it isn’t nearly that simple. Last up and then we’ll move on, Megan Garber on “All Unhappy Families: The Downfall of the Duggars” in The Atlantic. The difference between the Duggars and their fellow reality-TV families, though, has been that the Kardashians and the Thompsons and their fellow families don’t claim moral superiority over their viewers. They claim, instead, a moral distance from those viewers. The Kardashians, in some ways the polar opposites of the Duggars, revel in their uniqueness, in their marginality, in the collection of idiosyncrasies that got them their own reality show(s) in the first place. The Kardashians have no interest in making people want to be like them. They have an interest, instead, in making people want to be not at all like them. They have an interest in inspiring fascination rather than emulation. Their weirdness is their capital, and their currency. Moving on, some good news! “Sister Megan Rice, Freed from Prison, Looks Ahead to More Anti-Nuclear Activism” reports William J. Broad for the New York Times. Check out the story of another Catholic badass in, “Not Your Mother’s Catholic Frescoes: Radiant Portraits Of Queer People Of Color.” Maanvi Singh reports on the work of Gabriel Garcia Roman for NPR‘s Codeswitch blog. The photo series, called “Queer Icons,” evokes the colorful, religious artwork that Roman grew up with. “Because I grew up Catholic in a Mexican community in Chicago, my first introduction to art was religious art,” he says. 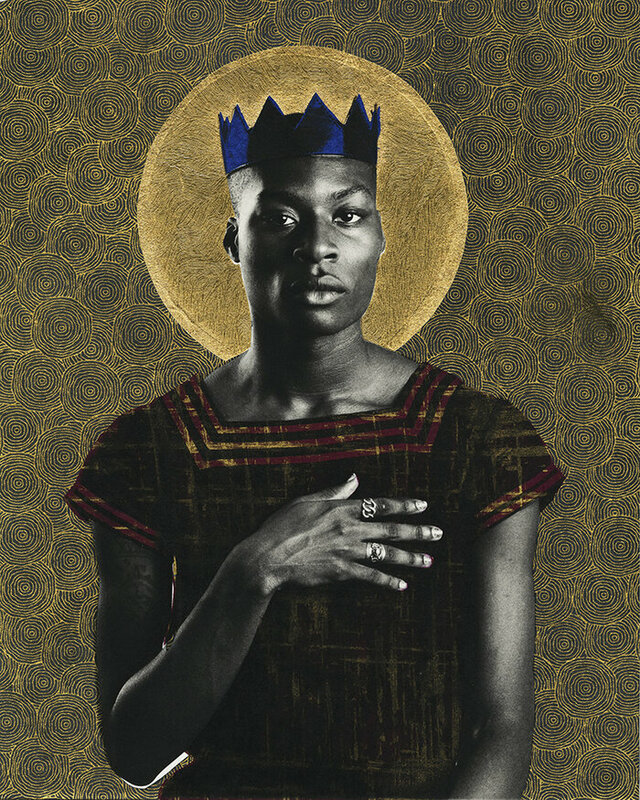 Photographer Gabriel Garcia Roman’s “Queer Icons” series portrays queer people of color as saints and warriors. Jahmal Golden is a poet and a student at The New School. Less inspiring: “The White Protestant Roots of American Racism” by Alana Massey for The New Republic. There are some troubling religious roots in resistance politics as well, reminds L.A. Kauffman in “The Theology of Consensus” for Jacobin. But while Rice and Boardman were careful to exclude any explicit theology from their trainings on consensus, something of its religious origin adhered to the process nonetheless — including a deep faith in its rightness, a certain piety in its implementation, and a tendency to treat claims about consensus as foundational truths. Also sad but true: “Pope Francis Hasn’t Watched TV Since 1990 and He Misses Going Out for Pizza.” reports NBC. Come to think of it, probably best if the Pope just keeps his set turned off then, yeah? And then there’s this guy. “This Guy From Baltimore is Raising a Christian Army to Fight ISIS… What Could Go Wrong?” asks Jenna McLaughlin at Mother Jones. In late February, a Baltimore-born, self-proclaimed freedom fighter named Matthew VanDyke beamed into Greta Van Susteren’s Fox News show from Erbil, the capital of Iraq’s Kurdish region. A few days earlier, he had announced on Facebook that he was in Iraq to “raise and train a Christian army to fight” ISIS and that he had formed a company called Sons of Liberty International (SOLI) to provide “free military consulting and training to local forces fighting terrorists and oppressive regimes.” For months, the so-called Islamic State had terrorized Iraq’s Assyrian Christians, forcing many to flee their homes and villages and seek safe haven among the Kurds. With ISIS on the march across Iraq and Syria—and making headlines for its brutal beheadings of journalists and aid workers—the story of an American taking an on-the-ground role in the fight sparked a media frenzy. VanDyke, who is 35 and holds a master’s degree in security studies from Georgetown, was soon featured by media outlets across the country, including the New York Times,USA Today, the Baltimore Sun, and MSNBC. Which I guess brings us to this to this week in Islam. Might as well start where we left off and “Journey to Jihad” with Ben Taub of The New Yorker. As part of the indoctrination program, the brothers often watched archived lectures by Anwar al-Awlaki, the American-born imam who was killed in a U.S. drone strike in Yemen a little more than a month before Jejoen’s first visit to Sharia4Belgium. They also watched footage of battles in Afghanistan, Chechnya, and other jihadi conflict zones, and came to think of the mujahideen in the videos as selfless heroes defending Islam against corrupt crusaders. One day, they watched a video of a beheading. Members discussed where they’d like to fight in the future, from Libya to Somalia to the Seychelles. “You sit for months in a group in which jihad is considered quite normal,” Jejoen said. And for the TL;DR version, here’s an NPR interview with Taub. In Spain, the beautiful Mezquita-Catedral has been at the center of some controversy, reports Guy Hedgecoe for Al Jazeera America. Also mentioned in the debate was the Mosque-Cathedral’s brief name change on Google Maps last November, when it mysteriously became simply “Córdoba Cathedral,” before being swiftly changed back to “Córdoba Mosque-Cathedral” after a public outcry. The Church denies any knowledge of the glitch, while La Plataforma Mezquita-Catedral suspects it was deliberately engineered. This is what normal looks like in Morocco. 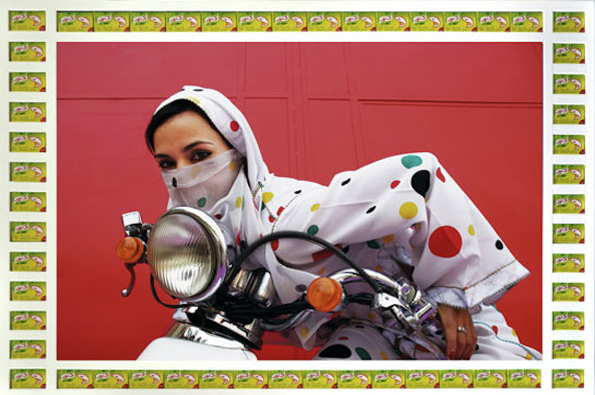 But when the camera lands on a carefree Muslim girl, all normality is rendered exceptional. Hungry? Good news! “Marijuana-Smoked Salmon” is a thing that exists reports Michael Kaminer for The Forward. More good news! “Pop Sensation Lorde, Now in Yiddish” announces Daniel Estrin for Jewniverse. But, “In Holy Land, a tribute to Lorde gets complicated” from, once again, Daniel Estrin, this time, for PRI. More of a fighter than a singer? Check out “A Blessing on Your Head, and Other Ways to Deliver a Beating in Yiddish” by Simon Rabinovitch for Marginalia. If, for example, you’d like to suggest you will beat someone lightly, you’d say to him “kh’vel dikh drazgen.” If you’d like to warn someone of a more severe beating, you have a lot of options, but you might want to suggest “kh’vel dikh doyresn” (I’ll trample you). How so? Well, you might want to make “a bentsh in kop” (literally, to put a blessing on his head) — in other words, to smash him in the head with a piece of wood. But be careful. Yiddish is a nuanced language, so if you prefer instead to use a stick, that bentsh would be called a palmes (literally, an autopsy), or to beat with a non-wooden object would be to give a solid “mek iberen kop” (a “mak” on the head). Yiddish has many words for putting hand to face, including a flask or a frask, for an open-handed slap, flik for a hard smack,shtaysl for an uppercut under the chin, klung for a punch in the teeth, or dos bintl finger — literally a bundle of fingers — for a punch in the mouth; all of which should be delivered with enough strength to leave your khsime (your signature of course!) on your adversary’s face. The vocabulary for punches, kicks, and jabs elsewhere to one’s body is equally colorful and variegated. In other “Jews and Sports” news there’s the story of “A House of Worship, Converted” by Andrew Keh for the New York Times. Got you in the mood… to shop? “Toy Vey: The Rabbi Selling Kosher Vibrators.” Yaakov Benmeleh has the puns and the story for Bloomberg News. “Peace, drugs and earth ships: The Farm in Tennessee is the longest standing hippy commune in America” reports The Plaid Zebra. To Farm members, marijuana was a sort of religious tool, used to attain a pure and holy life. They made claims to accessing a higher consciousness, with a precedence on oneness and spirituality. The community’s philosophical beliefs were no doubt a product of Gaskin’s Christian and Eastern religious practices, which he would teach to other Farm members. Sonia Smith goes inside the Church of Wells in “For the Mouth Speaks” for The Texas Monthly. Over the course of the next two days, I spent more than ten hours interviewing Catherine and the three elders in Ryan Ringnald’s home, a white house with blue trim and a tidy exterior. Religion permeated the atmosphere, from the Bible verses adorning the walls and the collection of religious books on the shelves to the Wi-Fi network named “Seek King Jesus” and the truly impressive ability of the elders to bring nearly every facet of our conversation back to faith and Scripture. While Samuel Loncar reads Jaron Lanier‘s new book for “The Vibrant Religious Life of Silicon Valley, and Why It’s Killing the Economy” in Marginalia. Silicon Valley’s religion has a clear vision of the future — naturally there are always dissenters, like Lanier — motivated as much by faith as reason; it is a vision of increasing dematerialization, a concomitant emphasis on the technological alteration and eventual transcendence of our embodied condition, and the rise of a friction-less world in which autonomy and choice extend toward infinity (an Ayn Randian utopia). The reason this matters to everyone is that, whatever may be true about this vision, its current implementation makes one thing eminently plausible: absent major changes, one part of society sure to dematerialize is the middle-class. Why? Because the religion of Silicon Valley has an ethics, one which sounds good but works disastrously, on Lanier’s analysis. It is an ethics of the open culture. Information should be free! Write a new program? Put it online for anyone to use and improve. Create new music? Forget sales! Share it with your friends. Make the world a better place. Money will take care of itself … until it doesn’t. Just a bit further east, Lydia Millet writes about how the US Government is “Selling Off Apache Holy Land” for the New York Times. The Apache are occupying Oak Flat to protest this action — to them, a sacrilegious and craven sell-off of a place “where Apaches go to pray,” in the words of the San Carlos Apache tribal chairman, Terry Rambler. The site will doubtless be destroyed for any purpose other than mining; Resolution Copper Mining will hollow out a vast chamber that, when it caves in, will leave a two-mile-wide, 1,000-foot-deep pit. The company itself has likened the result of its planned mining at Oak Flat to that of a nearby meteor crater.